This first half of the year is flying past and, with the big move over, we’ve been busier than ever in the Union Room studio. We’re working on plenty of exciting new projects for equally exciting new clients and this week that includes beginning work on the new site for Northern Security. Northern Security provide intruder alarms, CCTV systems, security officers, fire alarms and mobile patrols in and around the north of England. Their client base boasts blue-chip organisations and high profile clients alongside education, government, local authority, airports and maritime facilities. As part of their network the head office has just been moved to much bigger and very swanky new premises up in Carlisle (we’ve already popped up to check it out). 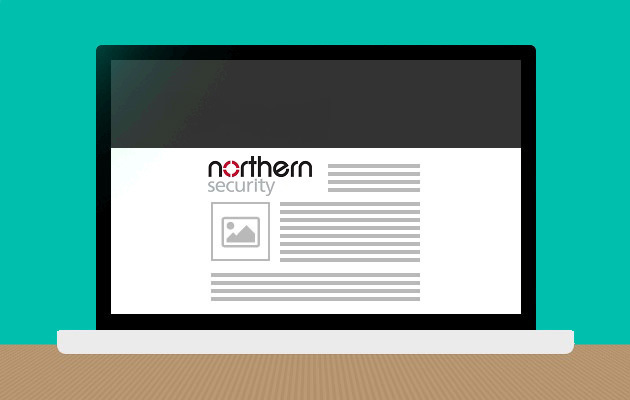 Now Northern Security require a full site update to bring their online presence in line with the offline one. Their current site is just not quite hitting the mark in terms of usability and visual impact. The new website will also offer a better base for recruitment, with a separate careers section to really show what it’s like to join the team and work for Northern Security. We’re all looking forward to starting work on the project and delivering a new site that fulfils all of the client’s requirements and hopefully exceeds their expectations. Even with all the exciting projects coming through our studio at the moment we’re never too busy to speak to you about your web design needs. If you’d like to discuss the possibility of us working with you then get in touch. We’d love to hear from you.